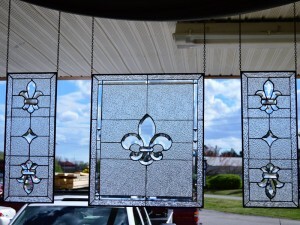 We can solder hooks on them to hang in front of a window using chain to center the panel. 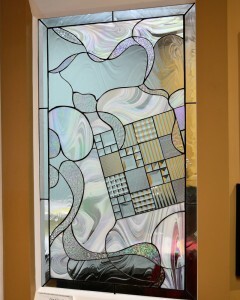 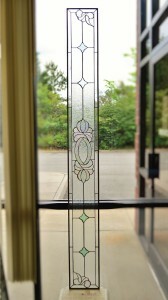 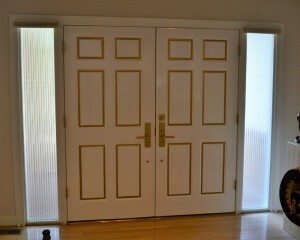 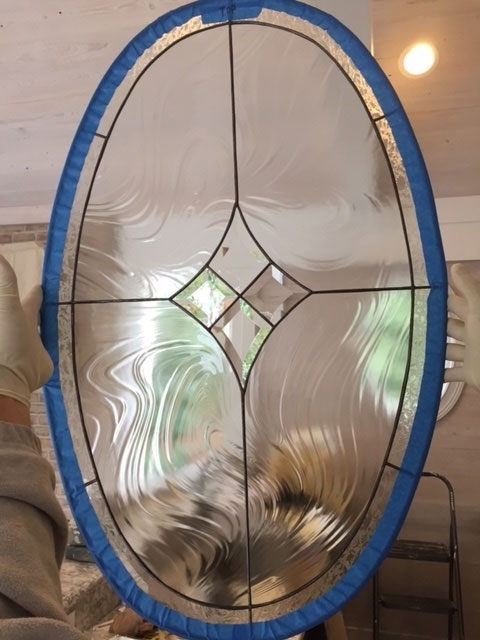 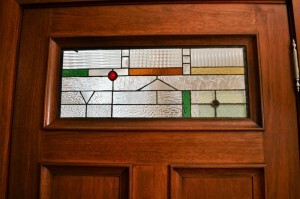 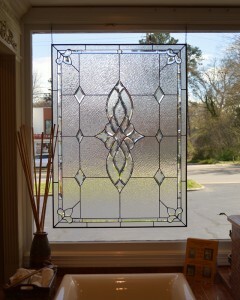 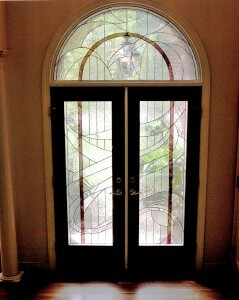 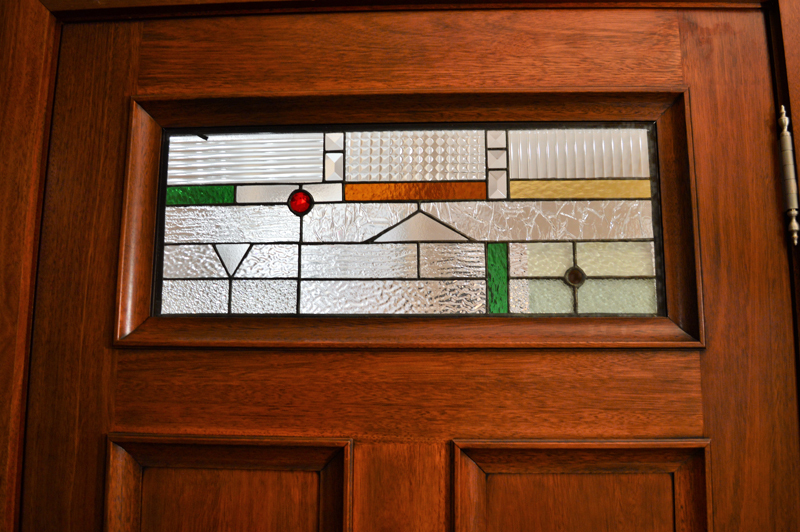 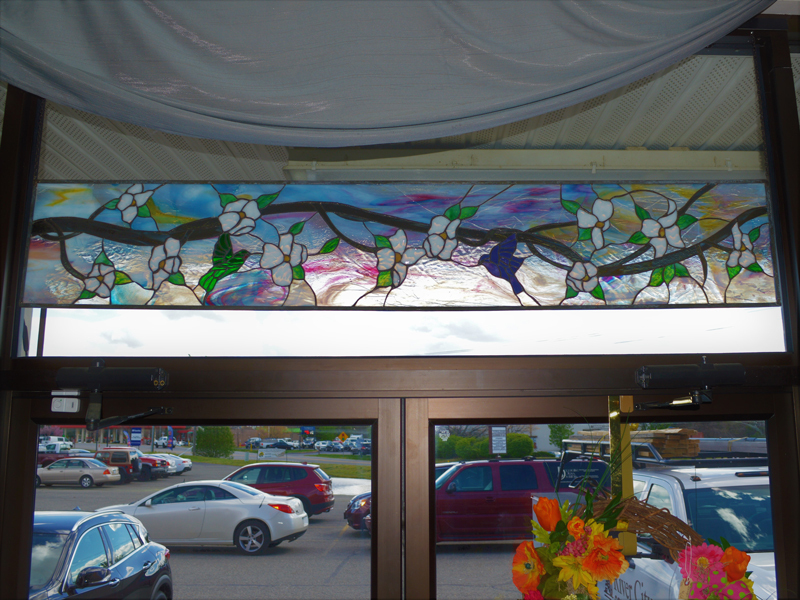 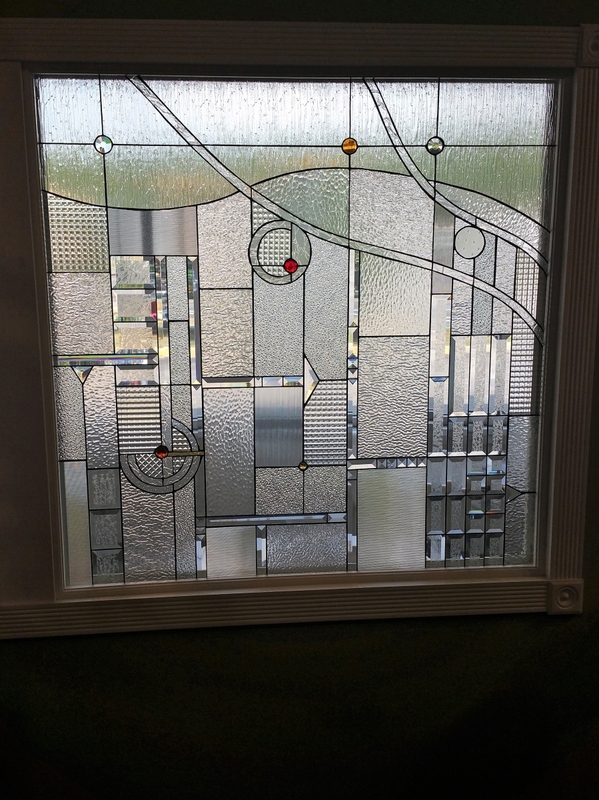 Can be installed OVER the inside of your existing glass if the size is correct. For a small fee we can do minor adjustments. 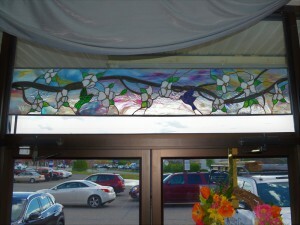 Call for pricing on installation charges. No window in your home to fit? 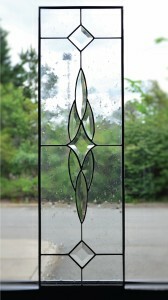 We can make the panel into a triple pane insulated unit and have a contractor install in any wall! 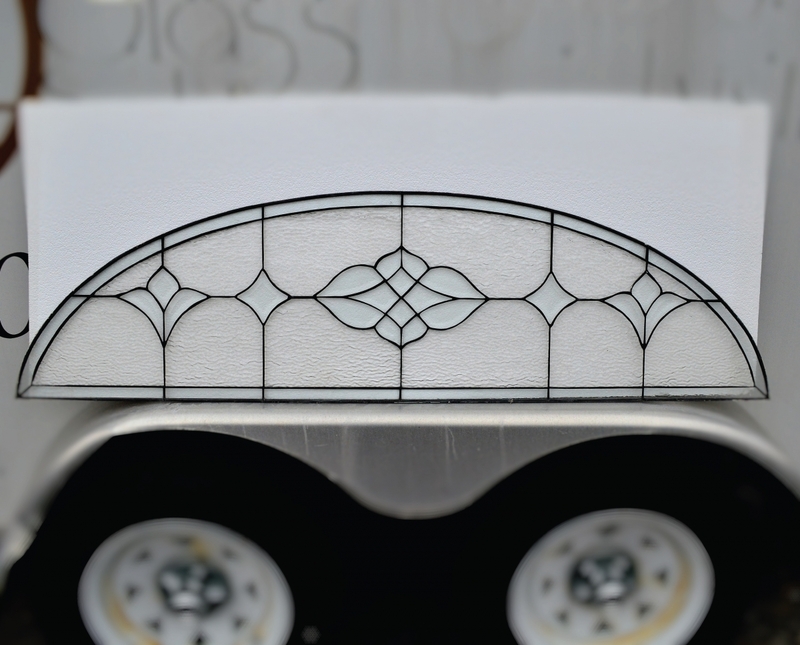 We Ship Nationwide (window is prepped for install). 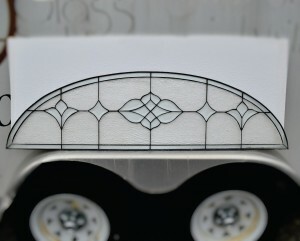 Shipping charges are at cost. 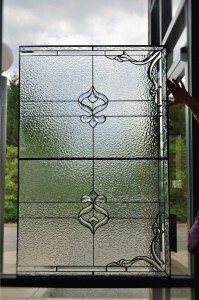 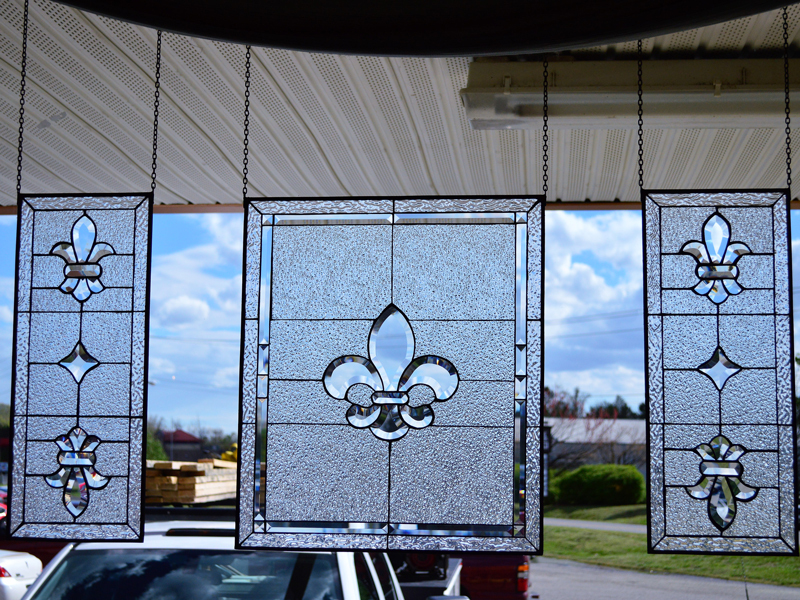 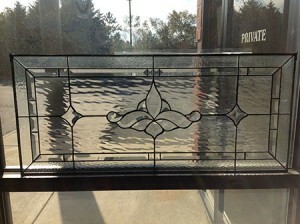 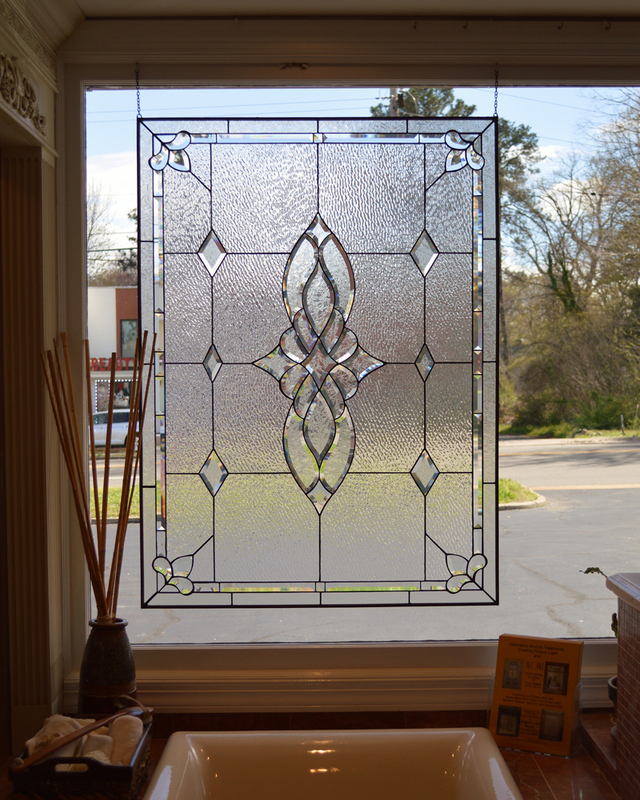 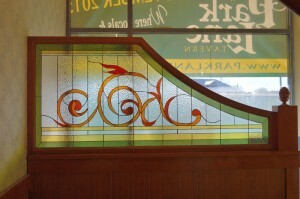 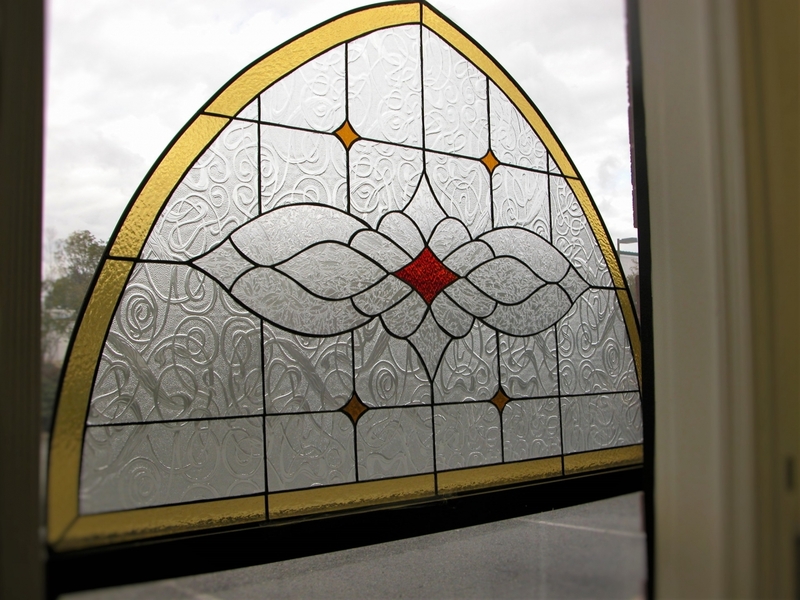 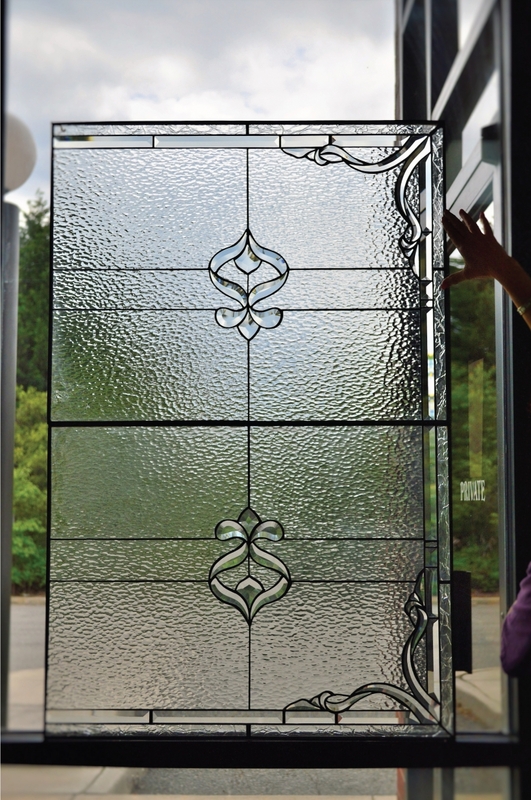 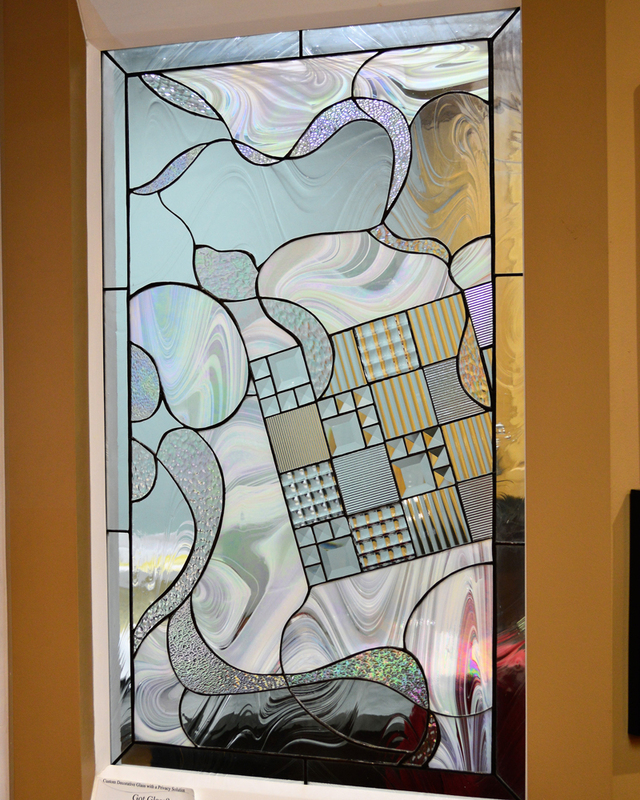 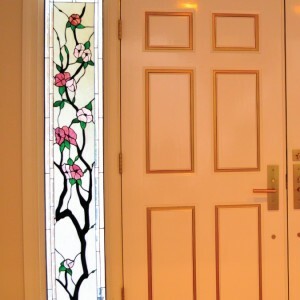 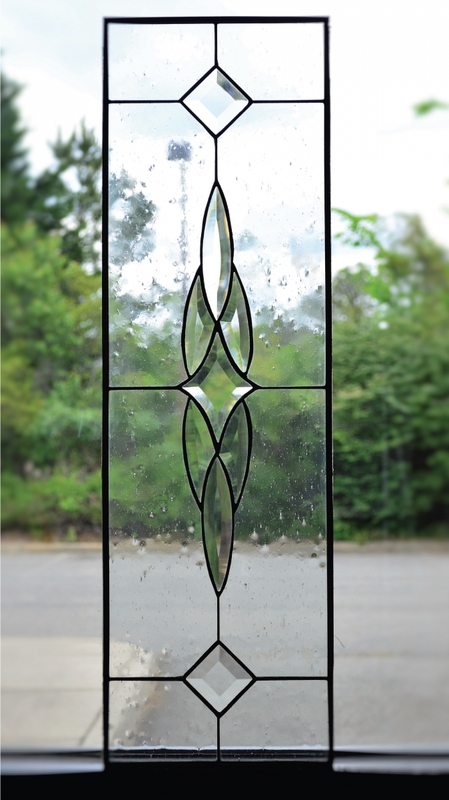 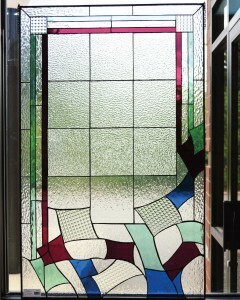 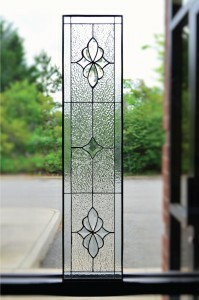 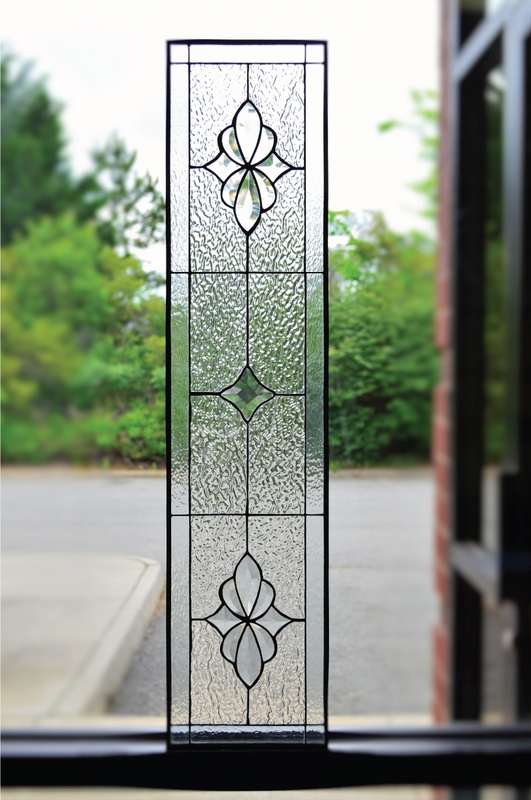 We also have numerous Pattern Glass medium to large sheets of glass that are tempered and cannot be cut. 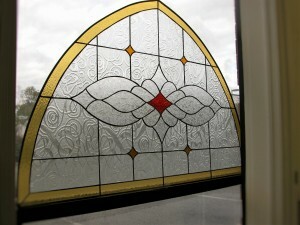 Prices too low to advertise please call with the size you need and we will give you a quote. 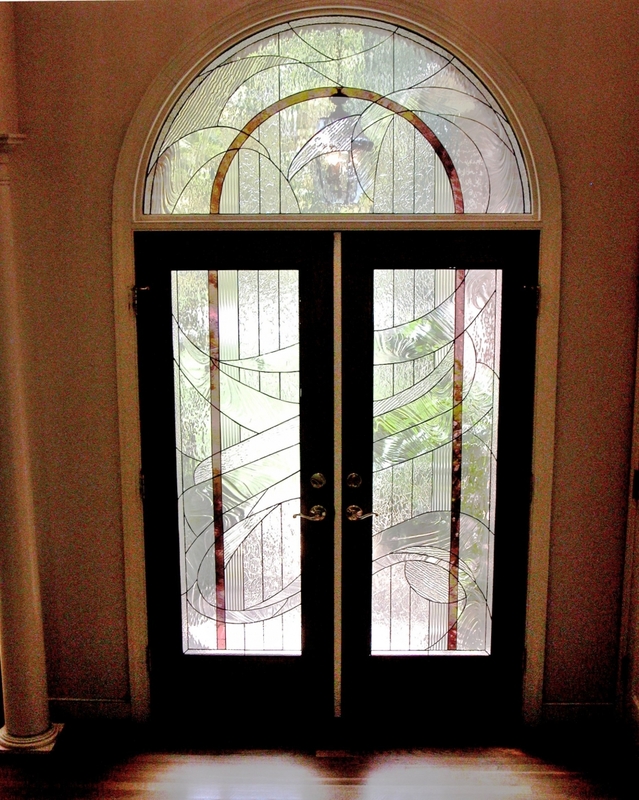 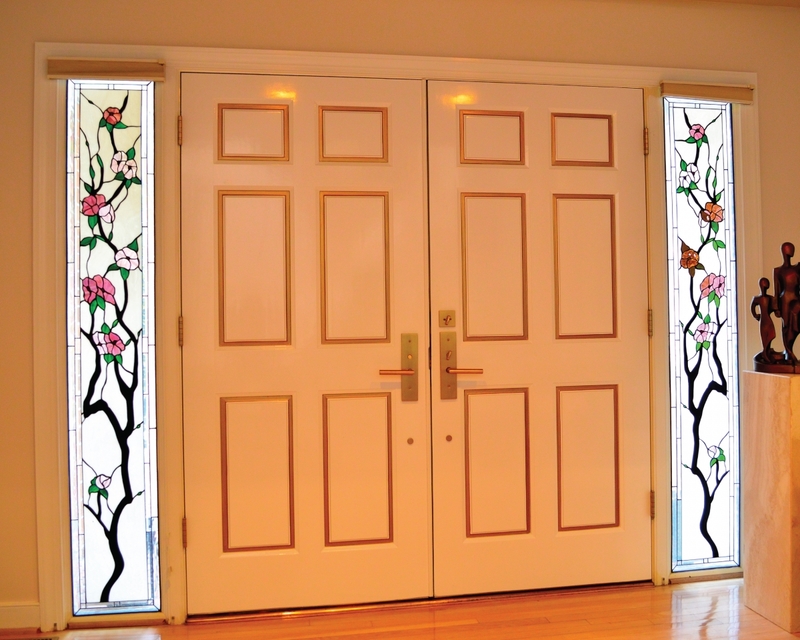 There are several sizes to fit French doors and windows of different sizes.